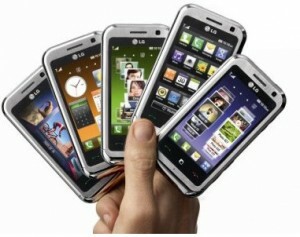 There is an emerging cell phone technology that is bridging the gap between print and digital media. 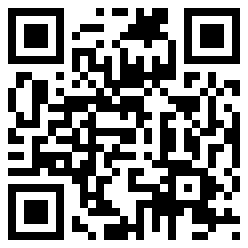 It’s called a QR (quick response and) code. It is appearing on printed materials such as business cards and postcards, in newspaper or magazine ads and on signs and billboards. A QR code works like a UPC barcode except its square and looks a little like terrazzo tile. It can contain a considerable amount of information and most importantly the URL link to a webpage. An example, linking to the home page of www.tech-centre.com is shown at right. To read a QR Code you need a mobile with a built-in camera and the necessary QR code reader software installed. To read the QR code, simply take a photo of it. This will launch the web browser on your phone and immediately direct you to a webpage assigned to the QR code. This linking from a physical real-world object is known as a “hard link”. QR-code readers are available for a wide variety of smart phones and several websites allow you to generate your own QR codes free of charge. Although QR codes are not yet widely used, it is expected to increase rapidly as smart marketers find more ways to utilize the technology.